This act is a National law that was created by the Convention on International Trade in Endangered Species of Wild Fauna and Flora. It was adopted in the United States on March 3, 1973. Creates legal punishment: civil and criminal punishments for any violations of the act. The ESA is led by the U.S. Fish and Wildlife Service and the U.S. National Oceanic and Atmospheric Administration. There are currently around 2100 species on the list of protected species (EPA 2012). In the 1900s, there were over 5 million ferrets across the US, however the population of the ferrets was quickly diminishing. 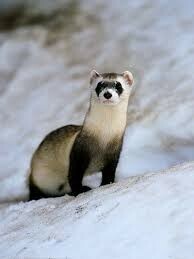 In 1967, the last black footed ferret in captivity died and the species was thought to be extinct. However, in 1981, a small population was discovered in Wyoming. Due to the help of the ESA, there are now over 1400 black footed ferrets living in the US. The Gray Wolf was endangered from the 19th century to the mid 1900s. Then was moved to the threatened species list. After the creation of the ESA, the Gray Wolf was protected and reintroduced into Yellowstone National Park. The population is now in the 1700s. And in 2011, the Gray Wolf was officially moved off the endangered species list. 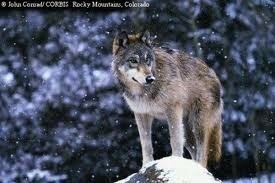 However, the Gray Wolf still needs protection because it is being hunted extensively in the Rocky Mountain region. The ESA could be improved by including more direction and rules about methods of recovery for endangered species. The methods in which recovery should happen are not laid out in the act, so recovery methods vary greatly and can be inconsistent or not based completely in science. Also, animals should continue to be monitored even after they are removed from the endangered species list. Because in the case of the Gray Wolf, when it was removed from the list, people began hunting and trapping them. This could cause the Gray Wolf to become endangered again. There was an amendment created in 1978 asserting that the Secretary of Defense must determine the critical nature of environments across the nation and designate which lands should be protected as a critical habitat. Fish and Wildlife Service. (n.d.). 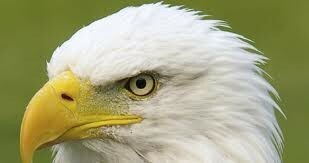 Endangered species act of 1973. Retrieved from http://www.fws.gov/laws/lawsdigest/esact.html. Center of Biological Diversity. (n.d.). 110 success stories for endangered species day 2012. Retrieved from http://www.esasuccess.org/. Biodiversity Ontario. (2009 February 24). Key strengths and weaknesses of the endangered species act. Retrieved from http://biodiversityontario.com/key-strengths-and-weaknesses-of-the-endangered-species-act-2007/.